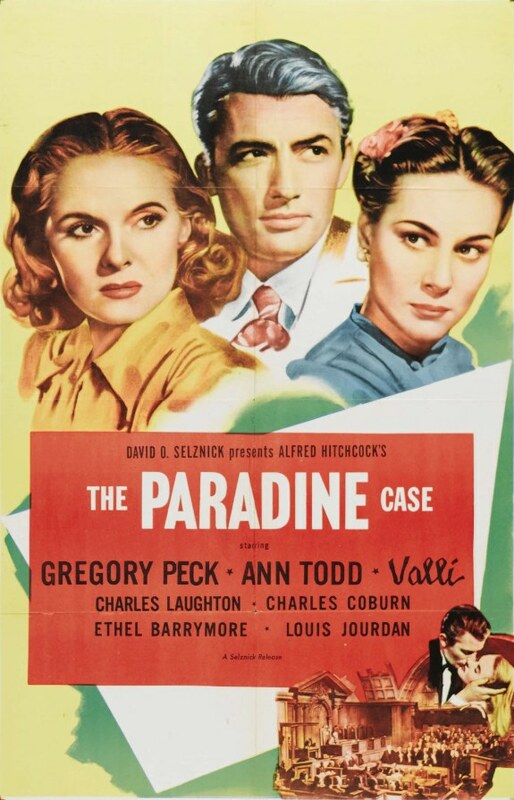 I believed that I was in the minority, in that, I enjoyed, “The Paradine Case”, despite the fact that it has been accused in some quarters as being “too talky”. It is reported that the film opened to “mixed reviews”, although some influential critics are recorded as having given it a favourable review both for the film itself and the acting; in fact, for her performance as “Lady Sophie Horfield”, Ethel Barrymore was nominated as “Best Supporting Actress” in the 1947 Academy Awards. In my own opinion, Valli, although “cold and distant ” – certainly to Gregory Peck’s character – adds to the “mystery” of the film – and her attitude is aptly explained at its exposition. 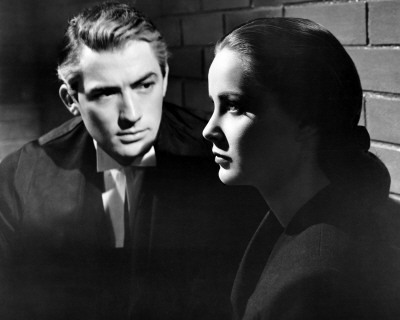 Valli is probably best remembered, (out of her own native Italy), for her role in “The Third Man”. Charles Laughton’s presence in any film, adds to its value and I certainly agree, that, once again, his interpretation of the character is “spot on”, ” stealing” some of the scenes in which he appears. Perhaps this film may not be one of Hitchcock’s best or most successful efforts, but it is certainly worth visiting. Thank you for your interesting review. I think both Ann Todd and Valli arresting presences. If anyone is miscast, it is Gregory Peck, who is completely out of his depth as an Englishman (he has anyway always had about him an unvarying wooden quality). Stewart Granger or David Farrar would have been better suited to the part, with Deborah Kerr as Gay Keane, and Margaret Lockwood as Maddalena Paradine. Let us be clear about the titles: Laughton is Lord Horfield: to call him Lord Thomas Horfield would be to make him a younger son of a duke or marquess. His wife is Lady Horfield. As Lady Sophie, she would be the daughter of a duke, marquess or earl. As this is a courtesy title, she would share her husband’s rank, if the latter were above her own rank.